Oh Meg, what a great post. 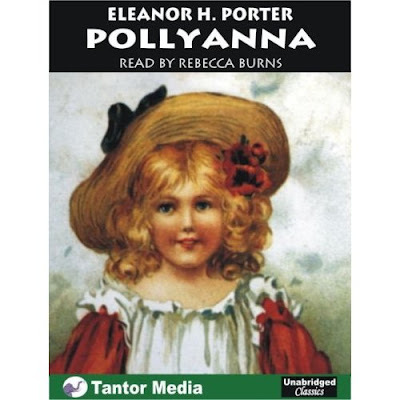 I was brought up with the Pollyanna theory and it was drummed into me to the point of dreading it when my mother said it each time "Be a Pollyanna!" It is a great family joke in our house. Recently I have read the book with my young daughter and my sister gave her a beautiful crystal to hang in her window. PIF in transit!! I love Pollyanna!! I wish I could look at adversity and life with as much optimism as she does. And, honeslty and a little ashamedly, I didn't know it was originally a book. Now I must find it and read it with/to my daughter. Oh Meg I have always loved Pollyanna, and especially loved the Hayley Mills version of the film.But how weird that we should both be blogging about libabries.....we are definitely on the same wavelength.! Meg, So glad you found me through Boston Handmade. 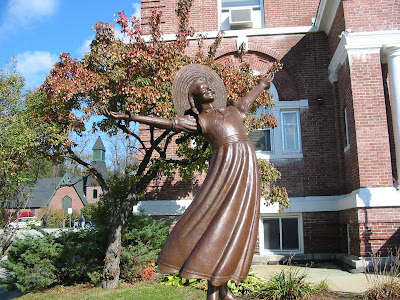 I grew up in Vermont and my great-grandparents were from Littleton, NH--- such a small world! Best of luck in Malden; I will be preparing for another show but you should try to touch base with the Boston Handmade group! 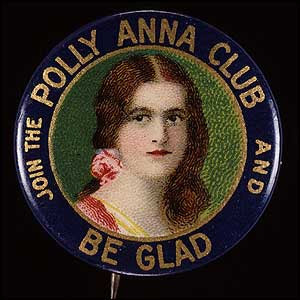 Are you a pollyanna type person? I just ahve to say thanks again for your little walk about. I think, if you don't mind I may do the same at some time - it has made you seem more real if that makes sense- now i can imagine where you live. At long last your PIF is posted ! 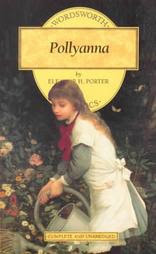 I don't know about Pollyanna, but now I am intrigued!!!! 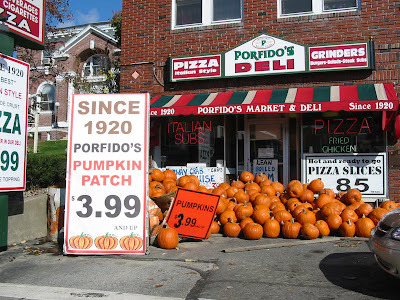 And HOW MANY PUMPKINS ARE OUTSIDE THAT STORE!!!!????? Wow!